When evil invades her town for a second time and a little girl is missing, she needs to team up with the man she loved and betrayed to find the truth. Years ago, Leigh Hampton could have given Wade Conner an alibi when he was accused of an unspeakable crime. Too afraid of her father’s wrath, Leigh didn’t say a word. 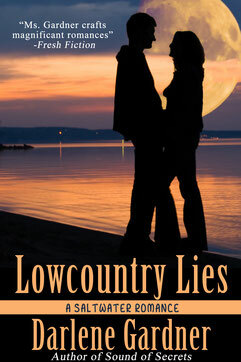 Now Wade has come back to their sleepy, southern town, and another little girl has suddenly, mysteriously vanished. Wade has made a success of himself far from Kinley, but the townspeople still consider him that good-for-nothing Conner boy. Leigh can’t rewrite the past, but she knows the crime will never be solved as long as Wade is the prime suspect. It’s up to Leigh to convince Wade that together they have the best chance to track down the real criminal. And maybe, just maybe, they’ll also find a future for themselves.